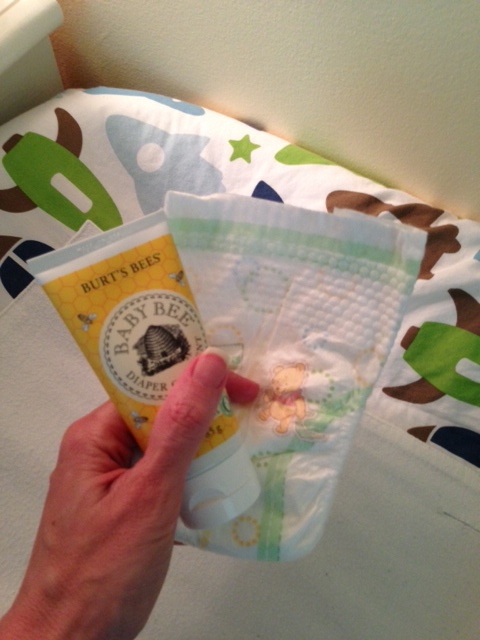 Changing diapers is hell on my manicure. I am not a high maintenance woman, but I do prefer to have well groomed hands. Unfortunately, having a baby and maintaining a manicure do not seem to be complimentary. When you're changing wet and poopy diapers 10 to 15 times per day and washing your hands in hot water afterwards, those "I'm Not Really a Waitress" red fingernails look perfect for about 12 hours. Plus it turns out that diaper cream is severely drying to the skin (which I think is the point), but since I'm constantly slathering my kid with the stuff my hands are starting to look like I'm an 85 year old homeless woman. As if wearing pajamas all day wasn't enough to make me feel totally unsexy, my Cinderella hands have finished me off. I suppose I can comfort myself with the fact that I'm saving a lot of money by not getting my nails done. Sigh.